Generally speaking, pretty much any NOS or used tube made around 20 years ago or more will sound better than any current production tubes that you can buy. The reasons for this are varied, but most are due to the fact that tubes just aren’t in demand anymore. Manufacturers can’t afford to make the metals used in construction of the tube as pure, and the vacuum in the tubes isn’t as tight because tighter vacuums cost more time and therefore money. That’s why you will often find complaints today of certain manufacturers’ tubes being unreliable (eg. power tubes ‘red plating’ soon after they’ve been installed). Certain chemicals can’t be used for tube production because they are toxic, and the ones that are still allowed to be used today tend to be only legal in countries where workers have less rights, and they don’t cost as much to employ either (eg. China, countries formerly in the Soviet Union). That’s why old factories in those countries are mostly the only ones still making tubes today, as opposed to old factories in England or USA. Why go for old tubes? Old tubes were made so well that they last much longer than current production tubes. Preamp tubes have been known to last around 30 years, or around 20,000 hours. That’s practically a lifetime for a tube amp. In most cases, vintage tubes sound better than their modern counterparts. The quality in manufacture of these tubes has a large effect on the sound, particularly in preamp valves. You really have to try some vintage tubes instead of modern production ones to experience just how better they sound, they make your amp come to life. 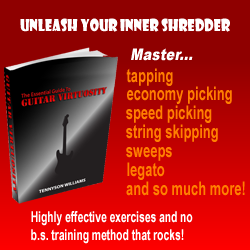 The more gain your amp uses the less noticeable this effect may be, as in some high gain amps, transistors or diodes are used to get more gain instead of tubes, so the tubes will be less important. Get them while you can – since these tubes are obviously no longer being made, once they’re gone they’re gone – and prices are always going up. Different manufactures produced tubes which sound different – a tube made in a different plant or by a different manufacturer will probably sound different. Many tubes were relabelled, so they may not necessarily sound like you’d expect by looking at the manufacturer name. The best way to know who made your tube or where it was made is to learn how to recognise the internal construction of tubes, and learn how to interpret the codes printed or moulded on the tube. For example, today from eBay I received a Tungsram 12AX7 that I won for £3, yet the valve said “Made In England”. Tungsram 12AX7’s were made in Hungary, and by looking at the location of manufacture, the date codes, the sound of the tube and the internal construction, I know that this was a tube actually manufactured in Britain by Mullard in their Blackburn factory. What do “xxxx”‘s tubes sound like? 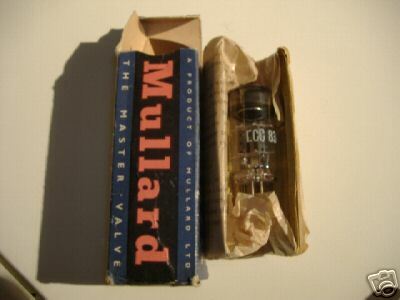 Mullard ECC83 – The most popular preamp tube for a Marshall. Used by Marshall in the 1960’s in their amps, this tube is chock full of mids, and has a sort of “3D quality” to it’s sound. Most examples are British made. Sylvania 12AX7WA – This is an American made tube reputedly used by Eddie Van Halen. It’s got less ‘upper mids’ than the Mullard, and has more of a ‘cutting’ midrange. Lots of these tubes have been released onto the market as NOS U.S. Military surplus, and can be found at great prices on eBay and the like. RFT ECC83 – East German made tube, quite a ‘dark’ sounding tube, with it’s midrange focussed on lower mid frequencies. A very ‘ballsy’ sounding tube, great for metal, hard rock and the perfect tube for a JCM800 in my opinion. Telefunken ECC83 – Regarded by audiophiles as the best tube of this type, it’s best used in audio/hi-fi applications but some guitarists like it in their amps too. They favour the tube because it sounds good but doesn’t colour the sound too much, and sounds bright and present. NOS examples of these are very expensive compared to modern produced tubes. Valvo ECC83 – Very similar in construction to the Mullard, both companies were owned by Phillips. These tubes were made in Holland. Consequently the sound properties are similar, the Valvo has a similar midrange emphasis and almost as good as the Mullard for a considerably smaller price. Many Valvo tubes are actually relabelled Mullards. Not all vintage tubes cost a lot of money compared to modern production. You can get slightly used tubes from eBay or garage sales for less than you’d pay for modern tubes. I’ve never spent more than £7 on any vintage tubes on eBay, but I’ve managed to get lots of them that sound far better than modern produced, new tubes. Getting most types of tube on eBay for cheap is easy, you just have to be patient and know what to look for. Slightly used ones are fantastic, as old tubes last so long, the difference between them and NOS tubes is insignificant. I think they actually sound better after being “burned in” a bit. You can probably get NOS Sylvania 12ax7’s for the same as modern tubes at the moment, the market is flooded with them. Those are a great tube to grab now. The really expensive NOS tubes are EL34’s/KT66’s/KT77’s/KT88’s, as they don’t last as long as preamp tubes and are harder to come across. Fortunately, they don’t affect tone anywhere near as much as preamp tubes, and the modern equivalents aren’t that much behind in terms of sound. For power tubes, reliability is the big problem with the modern ones. Most companies putting out EL34’s today don’t spend time with them as thoroughly as they should after making them, before shipping them out to distributors. If you’re serious about getting the best tone from a vintage Marshall amp (or similar), you might want to try another website I work on, Pleximods.com. You’ll find mods/tweaks there, pictures, sound clips and a discussion forum all centred around vintage or reissue Marshalls.